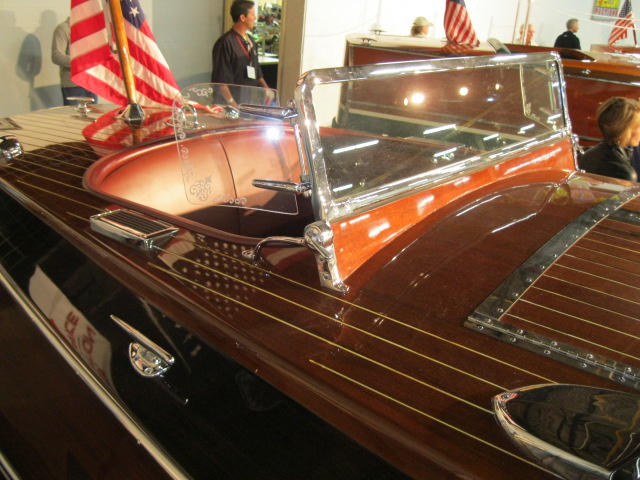 Saturday, I took my father to see the Warner Collection auction–over 100 vintage wood boats from 1909 to 1968. They were achingly beautiful and longer than a Cadillac from the same era. I’m not in the market for a restored ‘lake ship’ or even one the many project boats that were sold on Saturday. I went because I love boats. My best days growing up were hanging out on the bow of one my parents’ sail boats dodging the jib. How could I pass up seeing, (but not touching, of course) these…I don’t know even know what to call them…spectacular cruisers. The only reason I knew about the auction was an article in last week’s Star and Tribune. What if I didn’t read the newspaper? I’m not an auction fan, so I’m not on any email or RSS feed from the auction house. None of my friends on FaceBook commented on it. I’m sure it was on WCCO, but I never watch TV news. So if not for the newspaper, how else could I have found out about it? My savvy students would tell me that I could have read about it at www.StarTribune.com. And I suppose I could have, but I like turning the pages of my newspaper, flipping between sections, sharing it with my spouse and reading it anywhere. I just can’t do that online. Even though the web follows me everywhere on my iTouch, it’s not the same. I don’t like navigating an online newspaper. It’s just not intuitive to me or even fun. Not surprisingly, I didn’t end up buying anything at the auction. 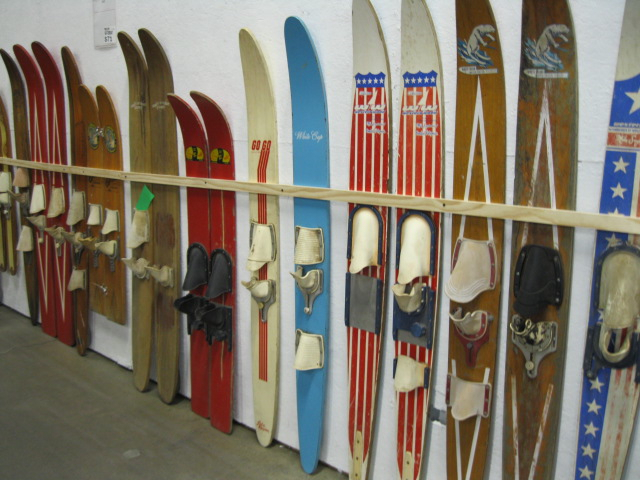 I was tempted by a great collection of water skis and a gorgeous vintage Mercedes SL convertible (not for sale) though. But the skis would never have fit in my car and I didn’t even have an auction paddle. What I did get was a beautiful day driving through the rolling prairies to a town I’d never been to hanging out with my dad. You could also get the Twitter feed update and it could have been on there! Perhaps. But the problem is real. My students don’t and won’t read the newspaper. It’s not relevant to them. Just maybe now, they understand why it is to me.